One of my favorite things to blog about is PARTIES! For me, the planning of the party is as much fun as the party itself! Sadly, I don't have enough time or money to host as many parties as I would like to each year. 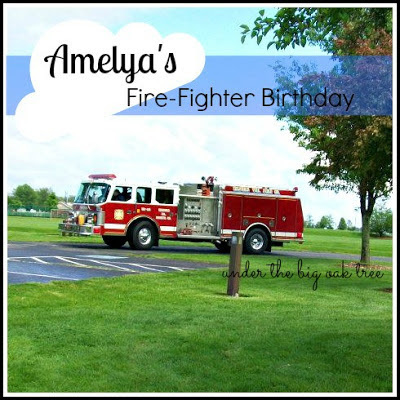 So, when a new friend was telling me about a party she recently threw for her daughter's 4th birthday, I had to ask her right away if I could use it on my blog! 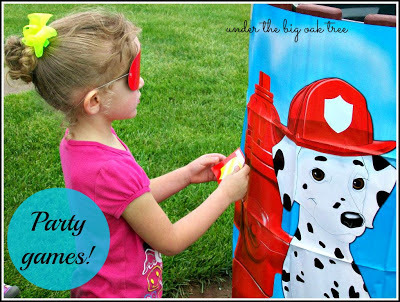 I love parties with a theme, but it's so easy to take a theme and run away with it. Sometimes it can very difficult to keep from purchasing every single item that matches the theme of your party! 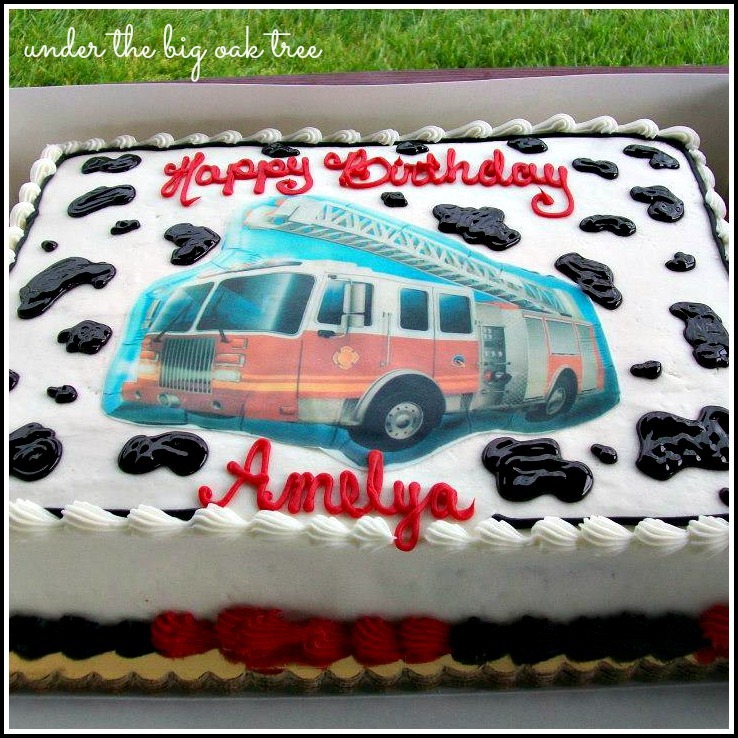 Mary, has done a wonderful job in planning her 4-year old's Firefighter Birthday Party and I'm so excited that she is allowing me to share her ideas here Under the Big Oak Tree! Amelya is Mary's 4 year-old daughter. fire trucks since Daddy is a volunteer firefighter. 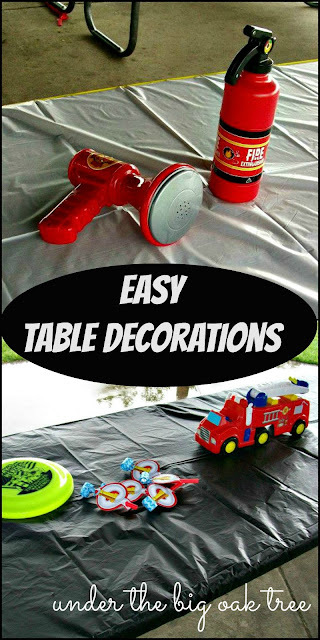 This theme was a no brainer and lots of fun to create!" 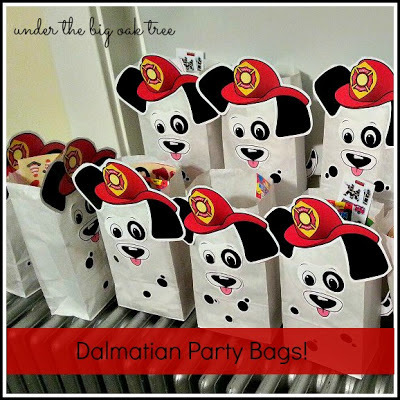 used as part of your party decor! 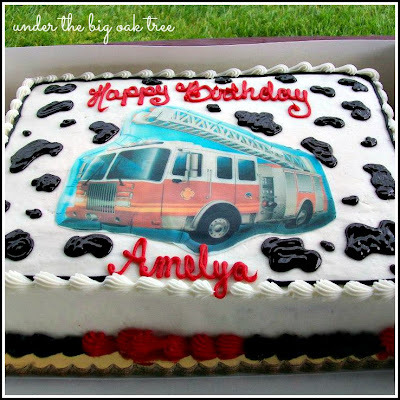 Amelya's party took place at a local park. This makes it simple to keep the kids entertained! The monkey bars, swings and slides are always a hit! and now it's so easy to find them to match the themes of our party! traditional Pin the Tail on the Donkey that I remember from my childhood. 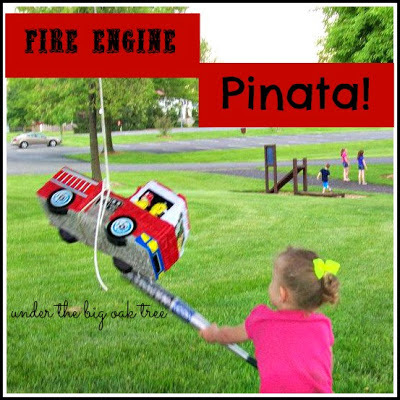 and taking a whack at the fire engine pinata ! 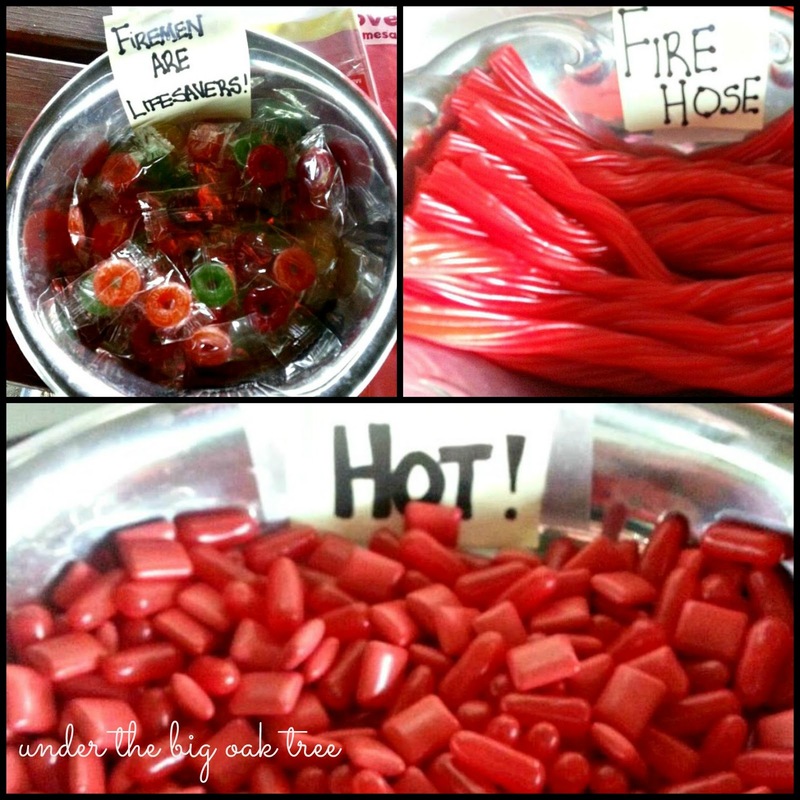 the Firefighter theme of the party! to your theme without going over the top. 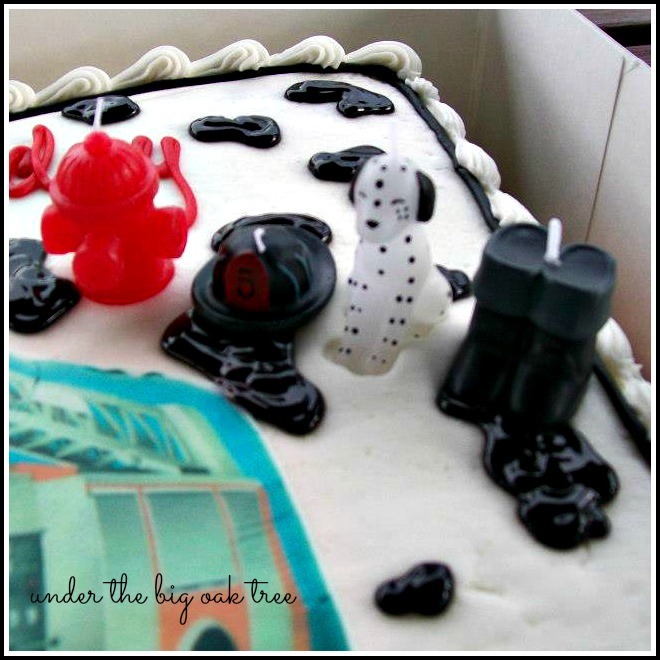 These fun candles fun candles are perfect for making birthday wishes! I just love these dalmatian party bags! I'm sure the kids loved them, too! Amelya's party looks like it was lots of fun! and Amelya's Daddy dressed in full-gear! Mary, a work-at-home-mom to three daughters (ages 21, 5 & 4) and wife to a volunteer firefighter, is working on starting a local pet sitting business called Mare's Care. She says, "it's tough being a firefighter's wife, never knowing if this will be his last call, but I support him 100%". I wish I could be more party creative. Sigh. I'd just rather be sleeping!